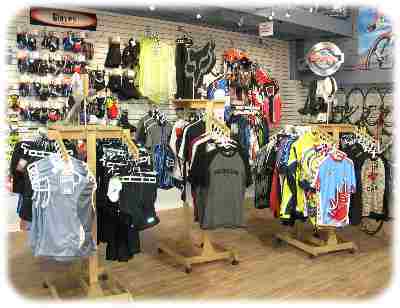 A lot of discount motocross gear can be found from all corners, and it depends a lot from what you want to do with it. If you’re a serious racer, or use your bike a lot, quality equipment is most certainly the best to buy. If you see it as more of a hobby, and for a weekend use now and again, you may find discounted non-brand budget gear is the best to have. Many internet stores seem to run discounted ranges, so you may find gloves on one site, boots on another and so on…. Sale vouchers are also something else you may find, and if the firm is reputable, they are great and you’ll get a small percentage off good quality brands. 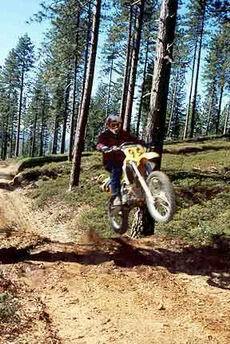 Discount Motocross Gear – for any amateur motocross rider. Whether you're just getting started with the sport of motocross or you're just looking to stock up on new gear or find a bargain, buying discount motocross gear is something everyone will need to do. The trick will be in knowing which items you should seek out, which you should buy used, and what you should really invest in, all cost-savings aside. Use this guide to learn a bit about buying discount motocross gear and what you may want to think about along the way. As you probably already know, there are all kinds of protective components, clothing types and other gear that you'll need for motocross. You have padded shirts and pants, boots, jackets, helmets, gloves, neck protectors or braces, knee braces, upper body armor, elbow pads and even more from there. It's always tempting to save a ton of cash and buy some of this stuff used, but you really need to be careful. That's because it's not like you're buying a used baseball bat or basketball or something along those lines. The gear you wear for motocross actually protects you, and can save you from injuries ranging from minor to potentially life threatening. Being comfortable when you ride is also important, to maintain performance and prevent crashes, and so you need something that fits the right way and suits you right. So if you're going to buy anything used, you have to take the time to evaluate it properly. If you're buying used online, make sure you get full descriptions, lots of photographs, and that you only buy from a trusted seller. Used motocross gear need NOT be an option. Don't take any chances when it comes to used or discount motocross gear, because the number 1 rule always has to be safety first. You don't have to avoid used gear like it's the plague, but you have to be cautious, and you have to make smart purchasing decisions. Luckily, especially when shopping online, you can find a lot of discounted or bargain priced items without needing to buy used. On auction websites, retail websites and even straight from wholesalers or manufacturers, you can find sale items which will help you to save a lot of money. Whether you purchase last year's unused models, extra inventory from someone who stocked up on too much, or anything else, you can keep your budget intact while still getting high quality items. As you can see, there's a lot to consider when it comes to buying discount motocross gear. Buying used is a great way to save money, but it also comes with real concerns. When your safety is on the line, there comes a point when saving money simply isn't worth it, and you need to invest in quality. But there are bargains to be found when you know where and how to look, and buying used sometimes has its benefits. Always be sure to do your homework and be confident about a purchase before you pull that trigger. The dirt bike gear for youth markets is big business. 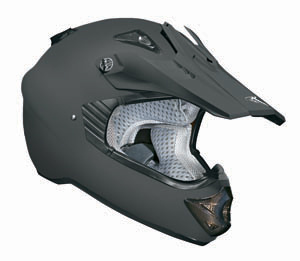 You should however always think of dirt bike gear safety issues, such as correct helmets and boots, rather than just looking cool. If you do buy expensive gear how about a dirt bike gear bag? to keep it all safe. Dirt bike racing gear adds so much colour to the sport, you should go with the discount motocross gear you enjoy, AND it should keep you safe and feel great.